The Professional and Technical Communication Program (PTC) prepares students to enter the exciting and dynamic work of Technical Communication. This field includes technical writers, editors, graphic designers, videographers, multimedia artists, and web developers. 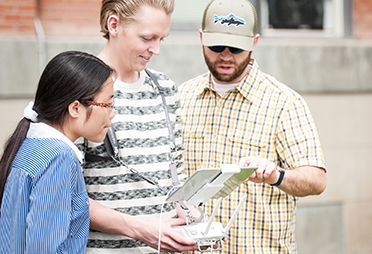 The Montana Tech program provides students with a rich understanding of the latest media technology and the theoretical framework necessary for effective communication. Professional and technical communicators are humane, intelligent, artistic problem solvers. Using all communication media as instruments, technical communication professionals help translate the specialized languages of the 21st century into meaningful and useful forms for their audiences. With a low faculty-to-student ratio in the PTC department, you will work one-on-one with faculty to develop a portfolio of projects in your field of particular interest; be it print production, video, or interactive media such as games, web sites, or museum kiosks. Students are able to choose a concentration from Health Communication, Interactive Media, Public Relations, Rhetoric, or Science and Environmental Communication. Degrees offered are a Bachelor of Science in Professional and Technical Communications or a Master of Science in Technical Communications. The PTC department is recognized and accredited by the Northwest Association of Accredited Schools. View the catalog information for Professional and Technical Communication. Professional & Technical Communication, Health and Science Communication, B.S. Professional & Technical Communication, Interactive Media, B.S. Professional & Technical Communication, Public Relations, B.S. Professional and Technical Communication, B.S. 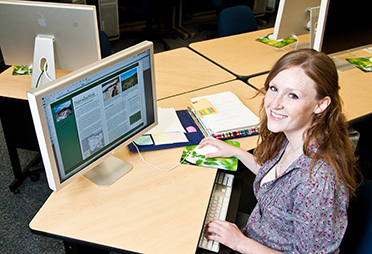 While earning your degree, you will have access to the very latest tools of the technical communication profession. The facilities available include teaching and research labs with PC and Mac computers, high-resolution large-format printers, and usability testing, podcast, and sound design equipment. 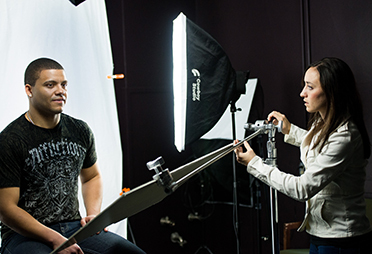 As a student, you become familiar with state-of-the-art communication equipment and receive hands-on training with digital still and video cameras, audio recording devices, and the latest software.